Take a large calf’s head. Scald off the hair. Boil it until the horn is tender, then cut it into slices about the size of your finger, with as little lean as possible. Have ready three pints of good mutton or veal broth, put in it half a pint of Madeira wine, half a teaspoonful of thyme, pepper, a large onion, and the peel of a lemon chop’t very small. A ¼ of a pint of oysters chop’t very small, and their liquor; a little salt, the juice of two large onions, some sweet herbs, and the brains chop’t. Stand all these together for about an hour, and send it up to the table with the forcemeat balls made small and the yolks of hard eggs. Victorians were crazy for mock turtle soup, which was made from calves’ heads and used actual brains to simulate the texture of turtle meat. The brains were, as Lloyd recommends, chop’t, then formed into balls – called brain balls. Yes, brain balls. I’m not sure which is more revolting to me: the idea of eating a turtle, or the idea of eating brains. 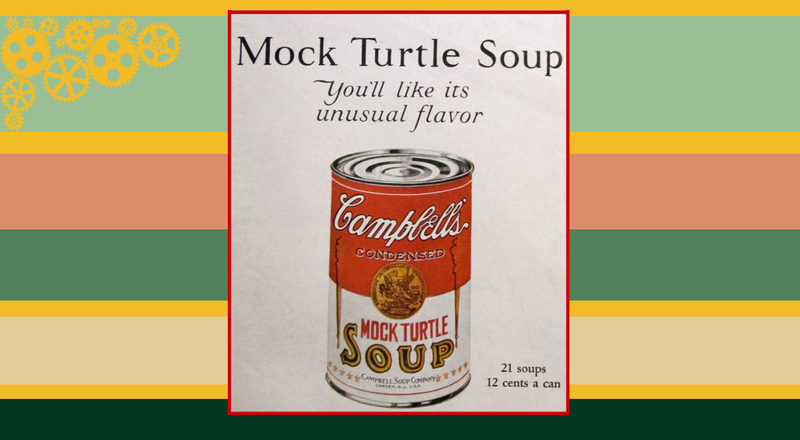 Yet, this was such a popular soup that, in an interview about Campbell’s discontinued soups, Andy Warhol apparently said that their mock turtle (which contained real brain balls) was his favourite. For more creepy victorian foods, click here. 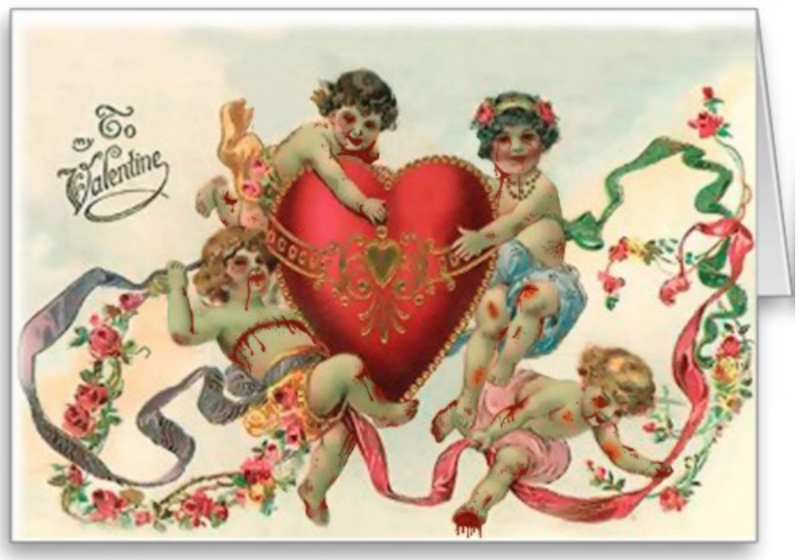 Victorian Zombie Valentines Are Here! 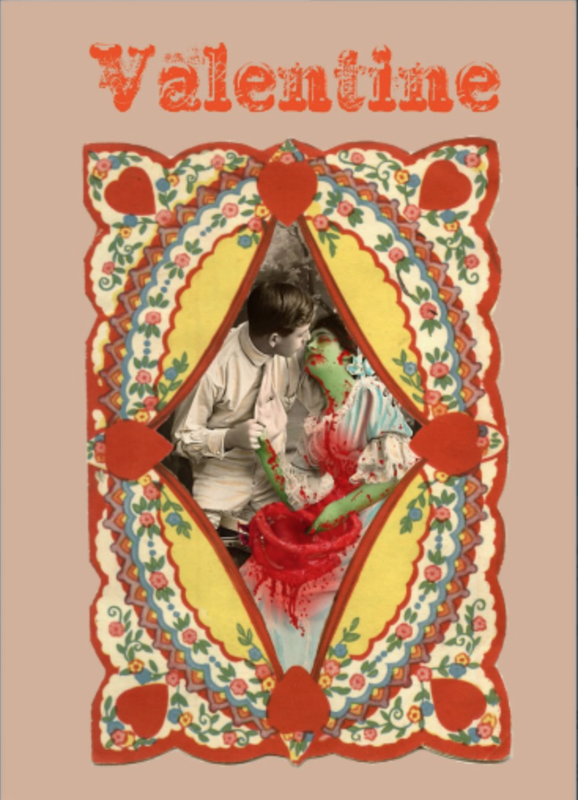 The Victorian Zombie Valentines are here and are a great way to support the Victorian Dictionary Project! Click here to but this card. 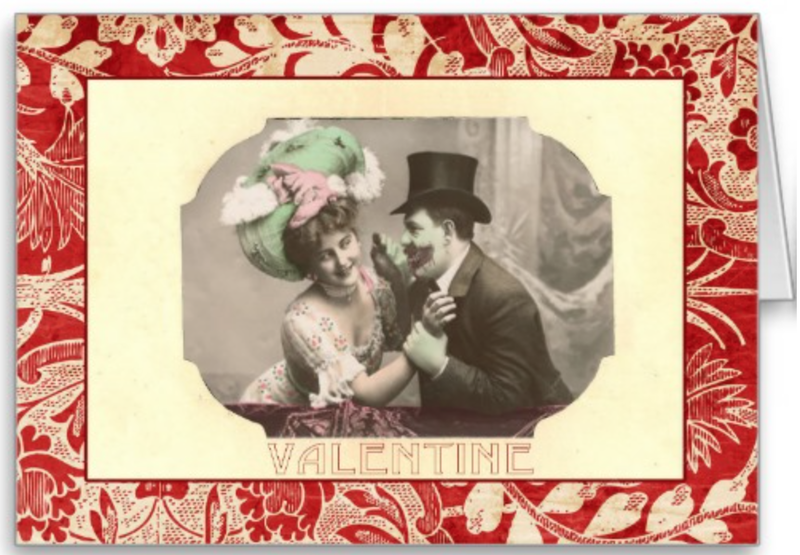 Click here to buy this card. 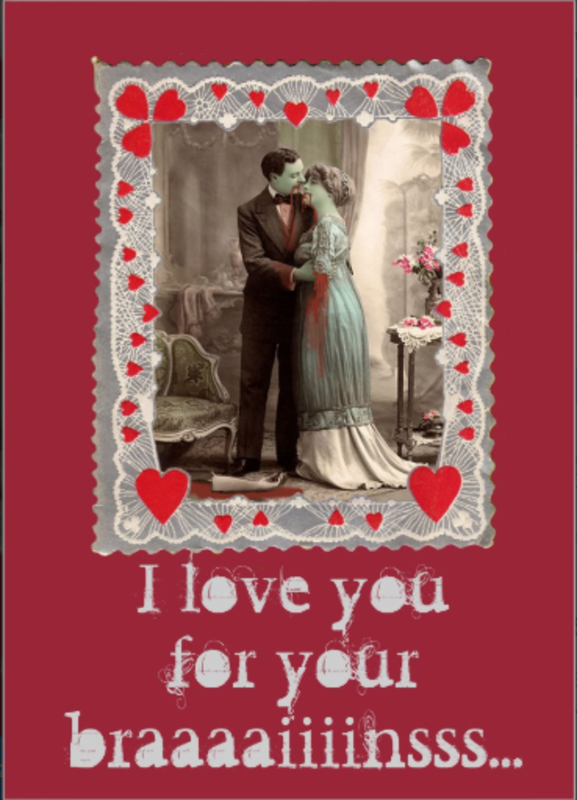 Click here to buy this card. It’s also available as an organic cotton t-shirt. 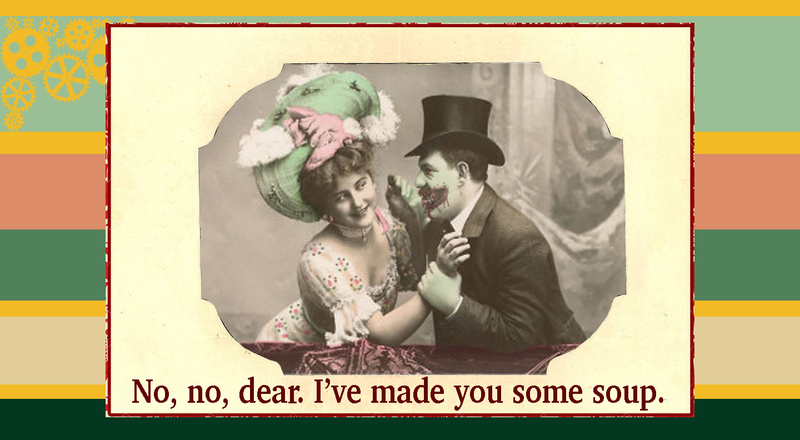 Proceeds from the purchase of these cards will fund the publication of the Dictionary of Victorian Insults & Niceties.